While often misunderstood, major depression (major depressive disorder), is a common and serious condition affecting a sizeable amount of the U.S. population. Around 16.1 million Americans are currently affected by the illness, which is characterized by feelings of sadness, hopelessness, and anxiousness that make everyday activities challenging. Moderate depression is also a growing problem affecting many. Transcranial Magnetic Stimulation Therapy is a safe, proven, FDA-approved treatment for managing symptoms of depression. 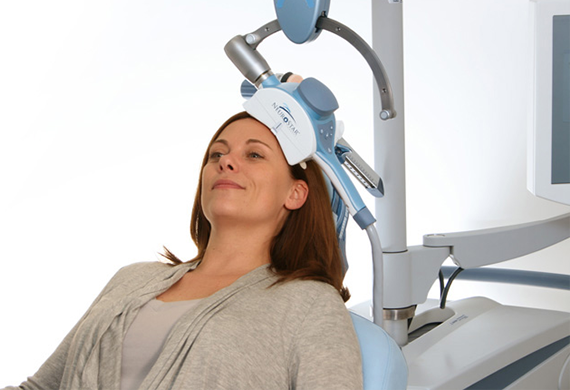 TMS Therapy is currently being provided by more than 650 physicians, helping more than 25,000 individuals. How Does TMS for Depression work? Hear from a real NeurOasis patient.